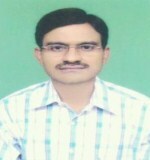 Dr. Santosh Kumar is lecturer in Physics, B. S. College, Danapur, Patna, Bihar, India. He is eminent teacher of Physics. Dr. Kumar works for the popularization of basic science. He is also doing a lot to promote innovative methods of Physics teaching under the able guidance of Prof H. C. Verma, Dept. of Physics, IIT, Kanpur. His interest areas of research in theoretical physics is atomic collision and in experimental Physics is the study of nanophase magnetic materials. Recently he has started working on dilute magnetic semiconductors.